The Vinery Hair Salon: Exploding the Nail Myths!! 1. White Spots on Your Nail Bed is an Indication of Calcium Deficiency…..FICTION!! This is actually due to pressure or trauma to the nail plate – which is completely normal and completely harmless! 2. My Nails Need to Breathe……FICTION! Nails do not have lungs, therefore they do not need to breathe! They aren’t a living tissue although obviously they do grow. Nail Polish can actually help to strengthen and protect your nail! 3. Won’t Nail Enhancements Ruin My Nails?…….FICTION! The products and techniques used by fully trained Nail Technicians will not damage your nail plate. You are more likely to do more damage by nibbling on your nails or by picking existing Enhancements off which then thins the nails by stripping away layers – it is always advisable to have them removed properly by a professional or keep your Enhancements regularly maintained by your trusted Nail Technician. 4. Gelatin / Seaweed Supplements will make my Nails healthier……FICTION! Nails are made of Keratin which is a protein and no amount of supplements be it Gelatin, Seaweed or Hemp will strengthen them up. 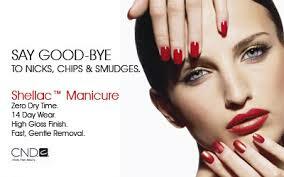 The best thing you can do for your nails is regularly use Cuticle Oil. 5. UV Lamps Used for Nail Enhancement/Gel Polish can cause Cancer…….FICTION! The risks are extremely low as the exposure time is extremely short and at a very low level. Did you know that your Nail actually contains its very own natural version of SPF equivalent to Factor 40 which helps to protect your hands and nails from the low-level UV rays. 6. Acrylic Enhancements are not as good as Gel….…FICTION! Apart from the application techniques there is very little difference. Gels are a little bit more flexible in terms of wearability but it depends on client preference. The removal process is one of the only differences as Acrylic will dissolve over time in Acetone Polish Remover whereas Gel does need to be buffed away by your Nail Technician. 7. I Have Browny Green Patches under my Nail Enhancements, My Nails are going Mouldy!!…….FICTION!! Your nails are not going mouldy…the appearance of discolouration is caused by bacteria developing in air pockets from moisture trapped between your nail and your Nail Enhancement. 8. I Can Cut My Cuticles with Scissors Right?……..FICTION! Take note, cutting our own Cuticles can cause untold damage! If you must do them yourself then use a pair of Cuticle Nippers on loose cuticles only – However it is best to leave this task to the professionals! TOP TIPS: To maintain healthy nails and hands we advise you to treat your hands with oils and lotions regularly to prevent the skin and nail bed from drying out. Wear rubber gloves when washing up or cleaning to protect the hands from harsh chemicals and from the water which could dehydrate your skin and nails! Use Cuticle Oil regularly as it contains a carrier oil that will direct the nutrients to the areas where they are needed. Here at The Vinery we offer Manicures, Shellac and Acrylic Enhancements as well as a simple File & Polish by our experienced Beauty Therapist Rachel Brooker. Street Chic for the Clubstar Team!